Huckleberry is also in demand as a chamber musician, with recitals across the United States, Australia, and Europe. He can be heard on eight compact disc recordings on the Crystal Record, Albany Record, and MSR labels, with two more being released in 2016. His recording of the complete wind and piano chamber music of Francis Poulenc was named one of the top classical releases of 2015. In addition to his performing career, Dr. Huckleberry is equally passionate about his role as an educator. 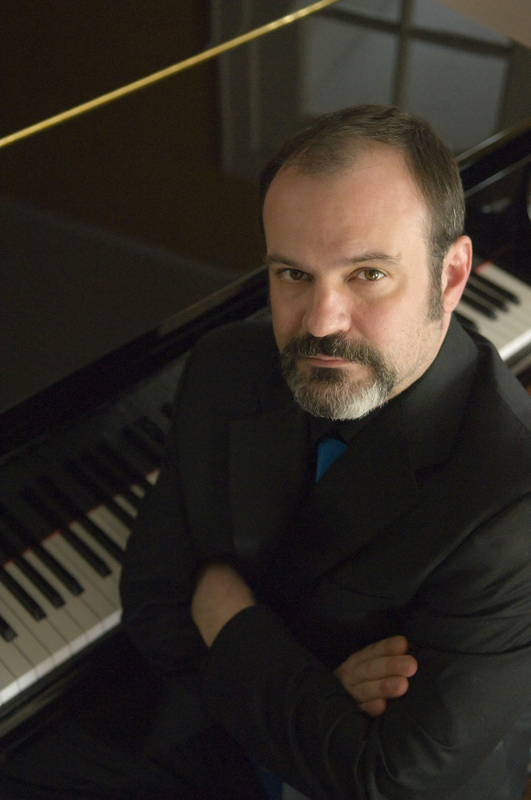 He is currently professor of piano pedagogy and collaborative arts at The University of Iowa. There he heads the piano pedagogy program, which is now recognized as one of the leading programs in the nation. He is sought-after speaker on pedagogical topics, including talks at the World Piano Pedagogy Conference, the National Conference on Keyboard Pedagogy, and the Music Teachers National Conference. At the University of Iowa, he also maintains a studio of national and international students, who themselves are beginning to leave their mark in their field. In fact, all DMA graduates from his piano pedagogy program are themselves now teaching at academic institutions across the country and abroad. A native of Indiana, Huckleberry began serious studies at the piano in Germany with Polish pianist Barbara Szczepanska. Further studies at the conservatories of Karlsruhe and Cologne with Japanese pedagogue Naoyuki Taneda and German pianist Josef A. Scherrer solidified a diverse and international musical background. He then returned to the United States at the University of Michigan to complete his piano performance studies (MM/DMA) with Arthur Greene and his piano pedagogy studies under the guidance of John Ellis. There he also studied extensively with harpsichordist Ed Parmentier and with collaborative pianist Martin Katz. Dr. Huckleberry has recently embarked upon a massive video recording project. Together with Dr. Jason Sifford, he is creating the largest known database of performances of piano pedagogical literature. In the end, it will encompass some 9000 videos of beginning to intermediate repertoire. The videos are available to all, free of charge, at YouTube (search: UIPIANOPED).